OnlineJobs.ph proudly sponsored this year’s Startup Weekend Davao. The weekend supports the Filipino technical and creative communities through activities that boost skills and showcase talents on the world stage. The event took place August 1-3, 2014 at Ateneo de Davao University, Davao City, Philippines. We were excited to sponsor this event as it mirrors our company’s efforts to support Filipino online professionals. The StartUp Weekend conference offers a great chance for online Filipino workers to understand the complexity of working on a start-up. One of the exciting things was that as we got involved, we found out there have been events like this all over the Philippines where Filipinos have been gaining first hand experience with the work involved in running a business. Events like this are creating world-class Filipino workers all over the country so employers don’t have to limit themselves to hiring from big cities like Manila. For those who aren’t familiar with Startup Weekend, it’s basically an entrepreneurial boot camp. Anyone– from developers to web designers, internet marketers, entrepreneurs, virtual assistants and students– can participate. Over the weekend they’re taught how to build a start-up company and they have the chance to develop new start-up ideas themselves. Participants form teams and work together to present their final pitches to the judges. To help get the participants started, they each receive a free one year .CO domain registration; $100 voucher from Amazon Web Services, $500 from Google Cloud Platform to help in building a website; a free 3-month Balsamiq account, and lots of other cool sponsor merchandise. By immersing themselves in the experience of building a start-up, Filipinos come away more knowledgeable and better equipped to help entrepreneurs worldwide create, build and expand their own businesses. This event is a great opportunity to scout emerging Filipino talent. A lot of the participants this year were student programmers and designers from top universities in Davao. Start-Up Weekends in other countries have become an informal talent search for tech companies. In fact, some of the companies that were originally launched at other start-up events were at Davao as sponsors, mentors and judges. Like them, we kept our eye out for promising tech prodigies and spoke with several of them about pursuing online careers. The event was also an opportunity for us to showcase the awesome Filipino workers companies can hire, including programmers, designers and more. A few of our virtual assistant jobseekers were in attendance, as were event planners, accountants, teachers and lawyers– all with great ideas and amazing skills. These are the types of talented people anyone can use in their business, and they can be found cheaper in the Philippines than anywhere else. Last but not the least, our presence at the conference showed that we are a force to be reckoned with in the Philippine outsourcing industry. We’ve been silently growing since 2009, and with our acquisition of EasyOutsource, the expansion of our team, and the major changes we’re working on for our site, there’s no question that OnlineJobs.ph is a pillar in the Philippine outsourcing industry. Our plan is to become the undisputed leader, with hopes that ours will be the first name to come to mind when hiring Filipino workers. Getting our name out at events like this is just one of the many ways we’re working to establish our brand, strengthen our network, and improve the quality of our services. So watch out! You’ll be blown away by the improvements that are about to come. 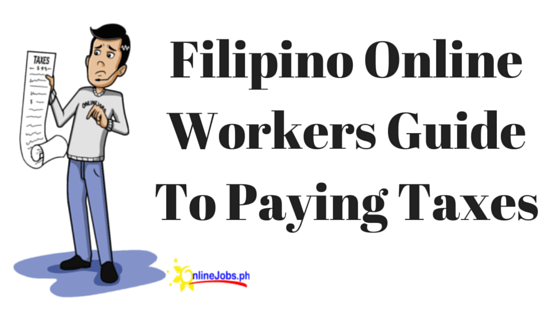 OnlineJobs.Ph has been providing secure employment to thousands of Filipino online workers for years. Besides virtual assistants, we offer opportunities for programmers, web developers, graphic designers, copywriters, content writers and more. Visit www.OnlineJobs.ph today for more information. nice i would like to explore the possibility of joining this group. Where are you based Joey? You can ask your local IT community about hosting your own StartUp Weekend there.